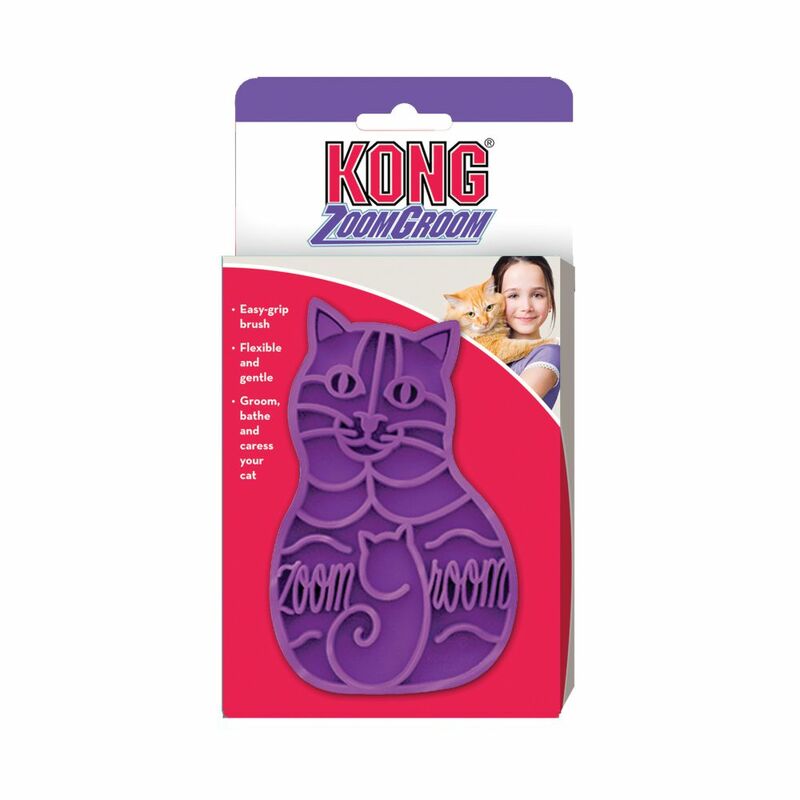 The KONG ZoomGroom® for Cats massages and grooms at the same time. The soft, rubber fingers are a magnet for loose hairs. 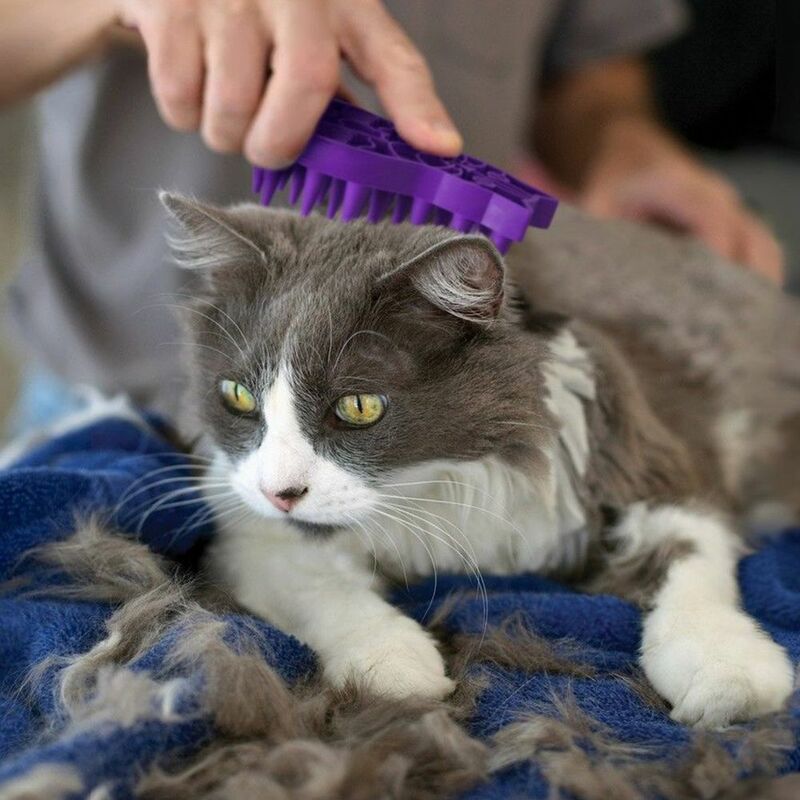 Helps condition skin and reduce hairball formation. 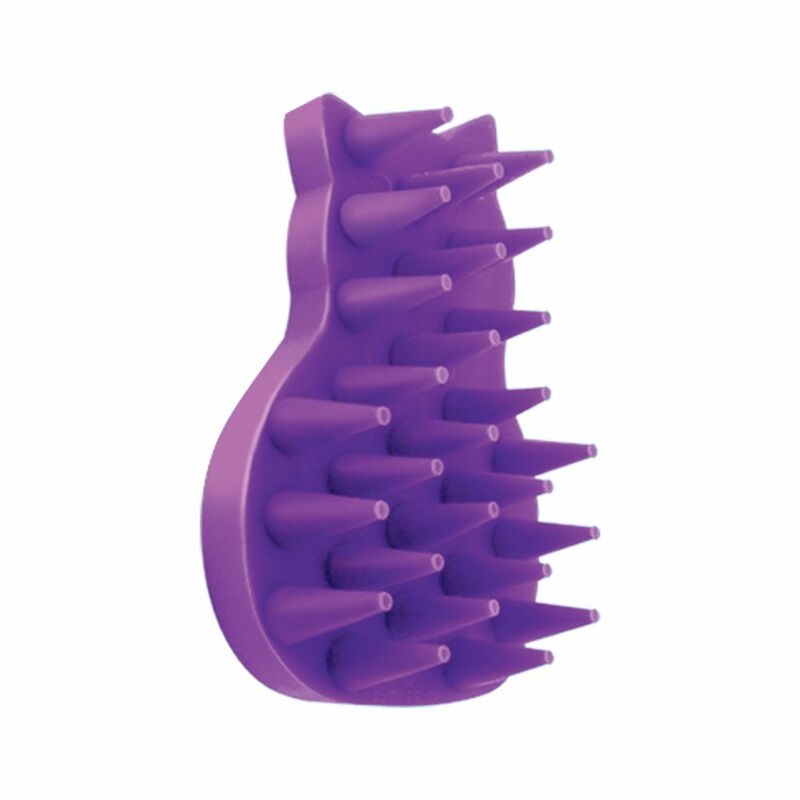 The gentle massage action calms cats, especially in potentially traumatic situations such as veterinarian visits.